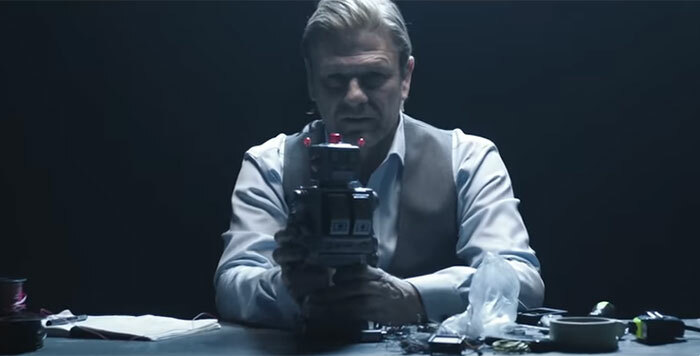 A new trailer for the Hitman 2 game features actor Sean Bean as the first 'Elusive Target' for Agent 47. The actor is well known for dying in his blockbuster roles, so this is a well thought out 'in-joke' style marketing ploy from IO Interactive. All would-be assassins will be able to add a Sean Bean notch to their gun, as long as they make the Elusive Target time window. In the above video we see Bean, playing Mark Faba in HITMAN 2, talking to an analyst or similar about how he has cheated death rather often. From the verbal outpouring we hear that there have been various attempts made on his life, but so far they have lacked imagination, and of course, effectiveness. After despatching the analyst with his silenced automatic, Mark Faba turns to one of the office security cameras and says "I know you are watching," before challenging "still not sent your best, eh?" The camera pans back from a remote security camera screen to show Agent 47 intently watching the scene. Hitman 2 will launch on 13th November (on 9th Nov for pre-order customers) on PC, Xbox One and PlayStation 4. The first Elusive Target mission, dubbed The Undying, starring Sean Bean as Mark Faba will become available from 20th November. These missions are time limited "you only have 10 days to take down Faba," says IO Interactive. That adds a realistic edge to a mission but isn't great for those who buy the game later. At the moment IO Interactive are running a poll to unlock an exclusive weapon to use throughout Hitman 2. You can choose from a toy robot (grenade), earphones (garrotte), and pen (compact explosive). Another bonus of pre-ordering is the early unlocking of Sniper Assassin Mode which is an online solo/co-op competitive sniping mode. These missions are time limited - That adds a realistic edge to a mission but isn't great for those who buy the game later. Great, now I know he dies at the end for sure.